This fall the national not-for-profit Evergreen launches a new public art program in Toronto. The tableau? The Don River Valley Park, a massive a 200-hectare greenspace in the Don Valley, an area spanning from Evergreen Brick Works to the mouth of Lake Ontario. Co-presented by Evergreen and the City of Toronto, the Don River Valley Park Art Program features new temporary sculptural installations, murals, billboards and performance, including dance and sound, along the Don River, created specifically for this site by local, Canadian and international artists. The first artwork, a series of concrete gargoyle sculptures by acclaimed Omaskêko Cree artist Duane Linklater, will be unveiled on September 23, 2017. The commissioned artworks respond to the Don Valley’s ecological, cultural, industrial and Indigenous histories and future. Each celebrates the site's natural environment and the city as a whole, integrating art into the landscape as the program and the seasons evolve. Each project will have its own timeline, with some lasting many years and others for one day. For many artists, it is the first time they have created art for a public space. Linklater, originally from Moose Cree First Nation, works in performance, installation, film and other media. His new artwork, titled Monsters for Beauty, Permanence and Individuality, is a series of 14 striking concrete sculptures. The large-scale figures are casts depicting gargoyles that adorn prominent buildings in downtown Toronto, and will be located along the Lower Don Trail in the meadow north of the Bloor Viaduct. For this installation, Linklater draws on his interest in the structural changes made to the Lower Don River as it became an industrial hub in Toronto, telling the story about the ways in which resource extraction in the Don Valley allowed for the building of Toronto as a city. By re-deploying or re-purposing the figure of the gargoyle in relation to the Don River, Linklater is asking the viewer to look closely at the trajectory of Toronto’s history and the changes made to the natural environment with the development of cities in settler societies. Here, he considers gargoyles as protectors of buildings that communicate a certain kind of power and authority, sparking a larger conversation regarding ongoing Indigenous and colonial occupation of the city. Starting the following week on Saturday, September 30, Toronto’s Don River becomes the stage for King Edward VII Equestrian Statue Floating Down the Don River, a new site-specific performance and first major public art project by the artist duo Life of a Craphead, a collaboration of Amy Lam and Jon McCurley. Each Saturday until October 21, 2017, the Toronto-based artists will send a life-size replica statue of King Edward VII down the lower section of the Don River near the Queen Street bridge. These two artworks are part of the first season of the Don River Valley Art program. Curated for Evergreen by Toronto’s Kari Cwynar, each artwork explores the histories and decisions that continue to shape Toronto’s public space and public art. Earlier this summer, visitors received a sneak peek of the new art program with a new live installation work by award-winning New York artist and choreographer Maria Hassabi. The free performance, entitled STAGING, featured Hassabi and six dancers moving as living sculptures at the base of the Lower Don Trail. Several more projects will be presented later in 2018 and in future years. 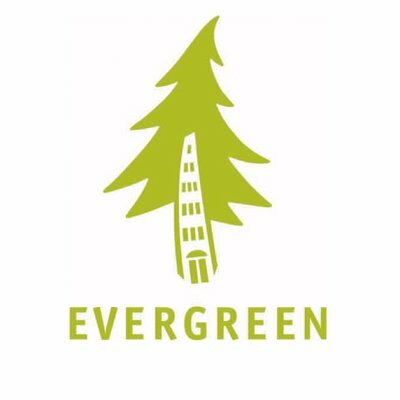 In addition to public art, Evergreen will offer a line-up of special programs, including group bike rides, guided hikes and art walks through the Don River Valley Park beginning in September. Visit our What’s On calendar for the more details. ABOUT DUANE LINKLATER: Duane Linklater is Omaskêko Cree from Moose Cree First Nation. Working in performance, installation, film and other media, Duane Linklater addresses issues of cultural loss and recovery as well as authenticity, appropriation and authorship. He often collaborates with others, reconsidering oral traditions where the transmission of knowledge, stories or histories is essential to future generations. His research on the land and language of Newfoundland’s extinct Beothuck people forms one project, while the film Modest Livelihood—part of dOCUMENTA (13)—shows Linklater and Brian Jungen on a hunting trip, referencing First Nations’ rights to fish and hunt. Linklater’s work has been exhibited at the Vancouver Art Gallery, New York’s Family Business Gallery and the Power Plant. He is the winner of the 2013 Sobey Art Award. Born in Moose Factory, ON, Duane Linklater lives and works in North Bay, ON. ABOUT LIFE OF A CRAPHEAD: Life of a Craphead is the collaboration of Amy Lam and Jon McCurley since 2006. Their work spans performance art, film and curation. Performance projects include The Life of a Craphead Fifty Year Retrospective, 2006-2056 (Art Gallery of Ontario, Toronto, 2013), a fake career retrospective of all the work they will ever make; Double Double Land Land (Gallery TPW, Toronto, 2009), a play interrupted by a staged wedding; and Free Lunch (2007), a public, anonymously-advertised free lunch serving everything on the menu of a restaurant. Their first feature film Bugs (72 min., 2016) has screened in Canada and the U.S., including at Night Gallery, Los Angeles; The Western Front, Vancouver; Parsons School for Design, NYC; The Khyber Centre for the Arts, Halifax; and S1, Portland, among others. Life of a Craphead also run and host the popular performance art show and online broadcast Doored, which has featured work by over 100 artists. Between 2006 and 2009, Life of a Craphead performed frequently on live comedy shows including at Laugh Sabbath (Toronto) and UCB Theatre (Los Angeles and New York City).